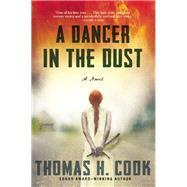 From Edgar Award-winning author Thomas H. Cook, A Dancer in the Dust is a deeply moving literary thriller about ill-fated love: one man’s love for an extraordinary woman, and one woman’s love for her troubled country. Twenty years ago, Ray Campbell was an aid worker dedicated to improving conditions in Lubanda, a newly independent African country. He is shocked when a friend from that time is now found murdered in a New York alley, especially because signs suggest that his murder is connected to the tragic death decades ago of Martine Aubert—the only woman Ray ever truly loved. Martine Aubert was a white, native Lubandan farmer whose dream for her homeland starkly conflicted with those charged with its so-called development. And Ray’s failure to understand Martine’s commitment to her country had led him to seal her fate in a moment of grievous error. As Ray returns to Lubanda to investigate the cause of his friend’s murder, he also returns to the passion he’d once felt for Martine and vows, in her memory, to rectify his wrongs.